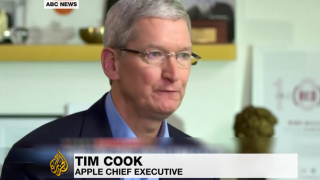 Tim Cook There are 100 Million Macs in use. The Apple CEO shared the number of international Mac users during its press event in Brooklyn. 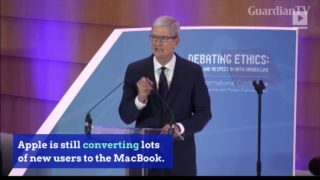 Tim Cook, Apple CEO Apple is still converting lots of new users to the MacBook. 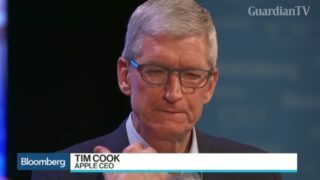 Apple CEO Tim Cook talks about whether he would consider running for President of the United States. 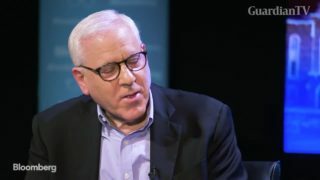 He speaks with David Rubenstein on "The David Rubenstein Show: Peer-to-Peer Conversations." 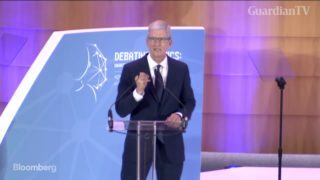 Apple Inc. Chief Executive Officer Tim Cook said he criticized Donald Trump’s approach to trade with China in a recent White House meeting, while urging the president to address the legal status of immigrants known as Dreamers. 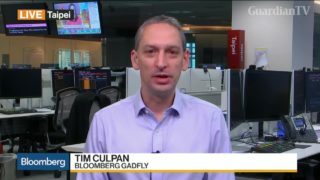 Apple CEO Cook says not true iPhone isn't built in U.S.
Bloomberg Gadfly Columnist Tim Culpan talks about Apple CEO Tim Cook's stance on the manufacturing of the iPhone. 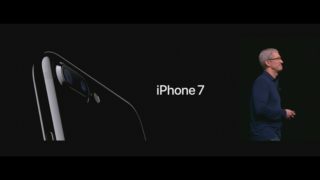 Apple Inc has unveiled its new iphone 7, with the widely expected removal of the analog headphone jack as well as a dual camera on some models and new wireless headphones called Air Pods. Apple is seeking a reversal of a US court ruling, which ordered it to help FBI investigators unlock the iPhone of one of the San Bernardino shooters. The tech giant argues the judgement is unconstitutional and violates free speech.